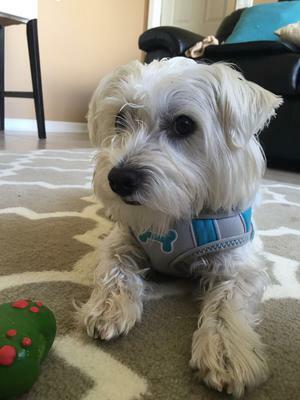 Our Maltese Westie dog is a rescue about 2 years old. He doesn't like men at first, but when he gets to know you, he's great. He is very protective of his home. 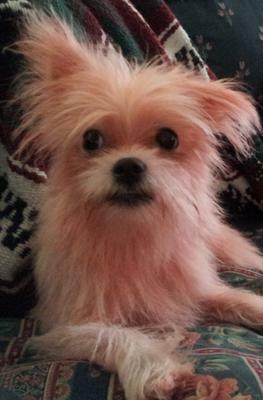 Our Highland Maltie loves to tease you with toys or bones and loves, loves, loves to be chased. But at any and every chance, he will bolt! 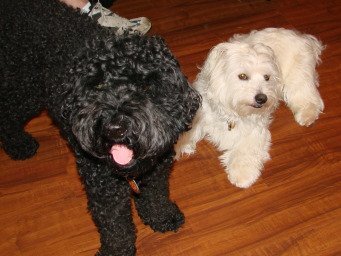 Plays well with others (his brother, an Austrailian Labradoodle). We just love Kotter to pieces! Join in and write your own page! It's easy to do. How? 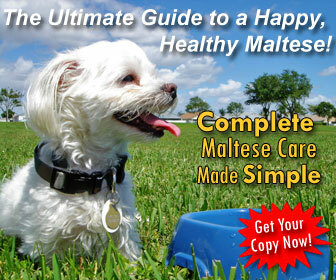 Simply click here to return to Tell Us About Your Highland Maltie!. Amanda, I don't know why you've got the impression he would be up for adoption? Absolutely not !!! Of course I say beautiful because Sam looks just like my 8 yr. old Morkie, Little Miss Muffit. She had a Yorkie father and Maltese mother. She's not pure white, but has gold here and there like on her ears which we encouraged to stand up. Her tail is docked so now she looks like a Scottie. She's very chipper and always wants to play fetch. She's a bit bossy, too, It was love at first sight the day she was born! 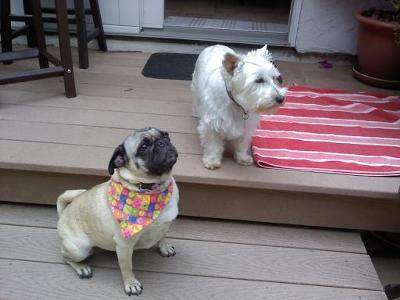 Good little dogs. He also could be part Papillion. Our Cricket is half Maltese, half Papillion and her ears look just like his! Very cute, whatever his mix is! he's adorable - love it that you got him from a shelter - I know it's a lot of work but I'm sure in the end it will be worth it. You will end up with a great friend and already a super cute pup! 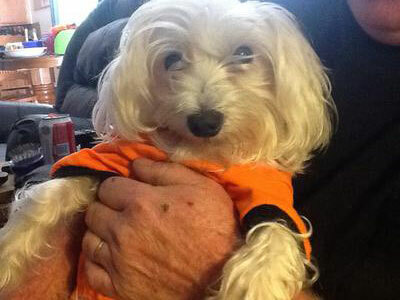 We got our Maltese Westie rescue dog Molly just over 2 years ago now. She is about 8 years old. She is a very easy and great dog. We call her our barkless dog as she hardly ever barks. 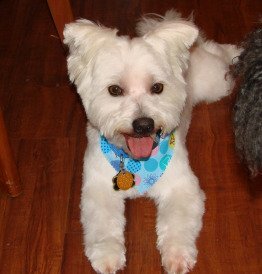 Our Maltese Westie mix is very easy, likes her walks and to travel with us. She is a very good dog. Doesn't beg and just loves to hang with us. Definately a lap dog. Loves to chase rabbits in the yard!!! Murphy is about 4yo. He is loyal, loving, and adventurous. He loves hikes, swimming in the American River, and rolls in mud. His fur is always puppy soft, his eyes are expressive and careful to study everything I do, and his tail is always wagging. He adores children and women but is very reserved and straightforward with men. 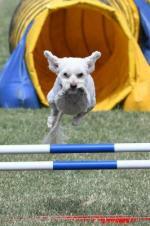 He is not a dog that likes to be pushed around or jumped on by other dogs, he enjoys manners and gentle interactions. 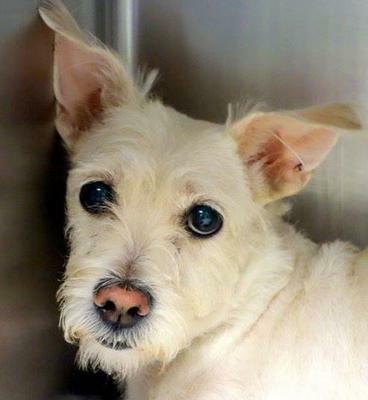 Lola is a spunky 2 1/2 year old Westie Maltese mixed breed sweetie. She sleeps flat on her back with arms and kegs sticking straight out. Her best friend is our 5yr old Golden. She is rough and tough and can run 100 miles an hour, (I swear). When you tell her bedtime she runs to her kennel and does everything except lock herself in. 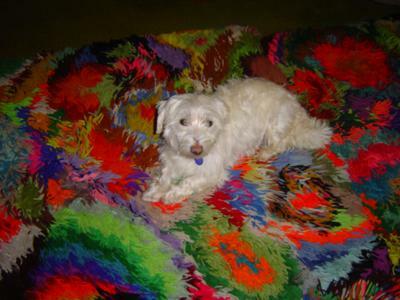 Lola us very smart and sweet and was the perfect fix for a broken heart 2yrs ago when my 17yr old Maltese passed. 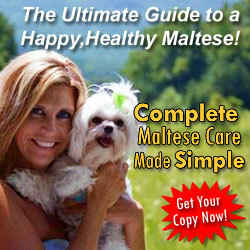 I love this Maltese mixed breed and will always seek them out from now on. She lives on an acre and a half and has explored every inch of it. So good with my 4year old grandson. I love her dearly. Viva Las Vegas Alarcon is the best dog in the world! 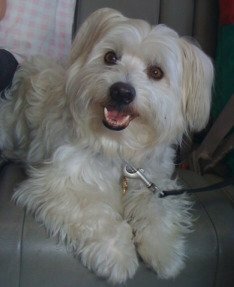 My Maltese Westie mix thrives on socks, ties, and chasing the cat. She is extremely intelligent, loves other animals, but is weary of strangers. She is independent, yet likes to be involved in ALL family activities. She has a very calming, yet cheerful aura around her... bring joy to everyone. She is a happy little dog who enjoys going through drive throughs, going to the local events at the dog park and Petsmart, barking at strangers, going for rides in the car, sleeping/cuddling, walking the track, and playing fetch. 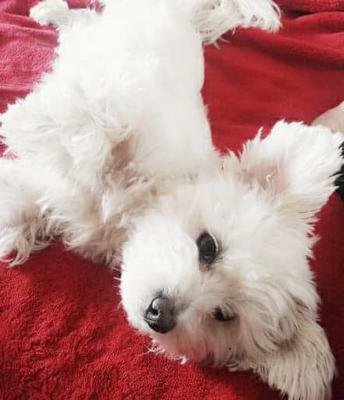 Viva is a delightful companion who takes more after the Maltese side. 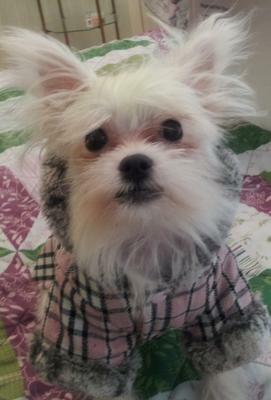 She weighs only 5.5 pounds and her coat is semi-soft and her snout is short like a Maltese. 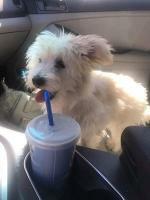 Her father was the Maltese and her mother a Westie! She likes to show off her latest fashion statements with her bright pink fur, designer shirts and coats, and flashy collars. Wow this dog is so cute, I wish I had one. She looks rich. 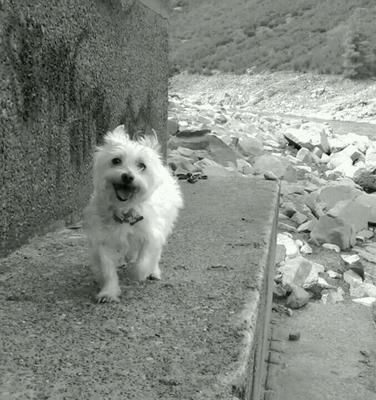 Hannah is a six YO rescue and near as we can tell she is a Highland Maltie. Her tail is curly and her ears try hard to stand but flop over. She's been through some bad times, but now that she's here we're going to fatten her up and get her coat shining! Hannah is a VERY sweet girl. She doesn't bark much - only when she's playing with our westie. seh likes to follow us around and see if we're having a snack. She's also always up for a nap in the sunshine. This endeavor started out as an effort to help out a dog that had been cast away, but she's really brought a lot to our household in the short time she's been here. Looking forward to a lot more fun with her! Such a handsome pup you have there!